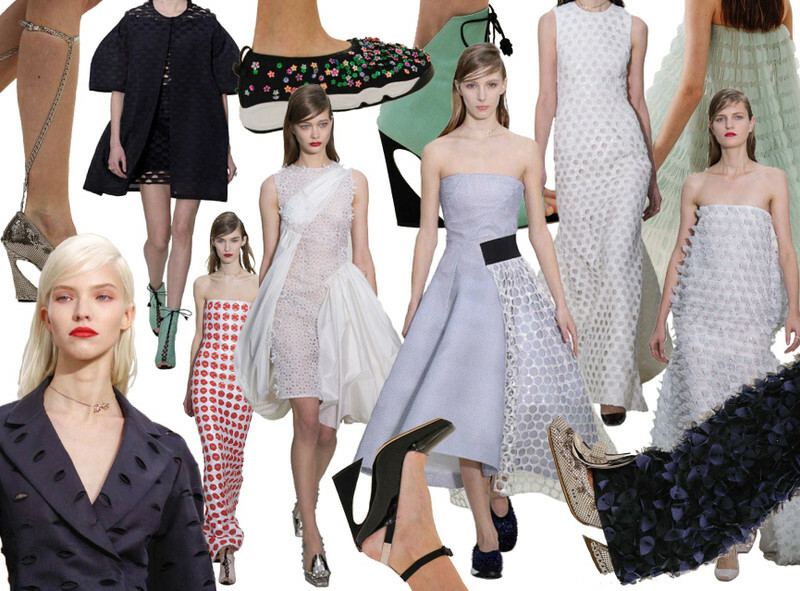 Fashion Nerd Diary: It's Couture, Baby! Spring 2014 Couture has now come and gone, and the one thing I really took away from the shows is that sneakers probably aren't going anywhere anytime soon. Last year, I was astounded at the number of show-goers wearing sneaks to the shows; this year, they made it onto not one, but two, couture runways. Karl Lagerfeld chose to accessorize every look at Chanel with a pair of complementary over-the-top trainers in python, pearls, beads, and tweed. Raf Simons also paired beaded trainers with several looks at Dior, although his slip-on style encrusted in the most delicate little pastel flowers somehow elevated the athletic staple to something much lighter and more feminine. Of course, I most look forward to couture season for the showcasing of the extraordinary, be that in terms of construction or design. Bouchra Jarrar has become a favorite of mine for her razor sharp tailoring, and this season, she upped the ante with the unexpected combination of sportif stripes and feathers. Margiela, on the other hand, showed an artisanal mélange of textiles from varying cultures and eras that combined can only be described as "tattooed carpetbagger luxe." I was especially fond of the metallic accents on tapestry coats and the gorgeous lime gold Tabi boots that accompanied each look. Finally, Giambattista Valli presented a glamorous lineup of unapologetically pretty party dresses, because sometimes, despite fashion's inexorable attraction to the now, it's just nice to see some simply pretty dresses.